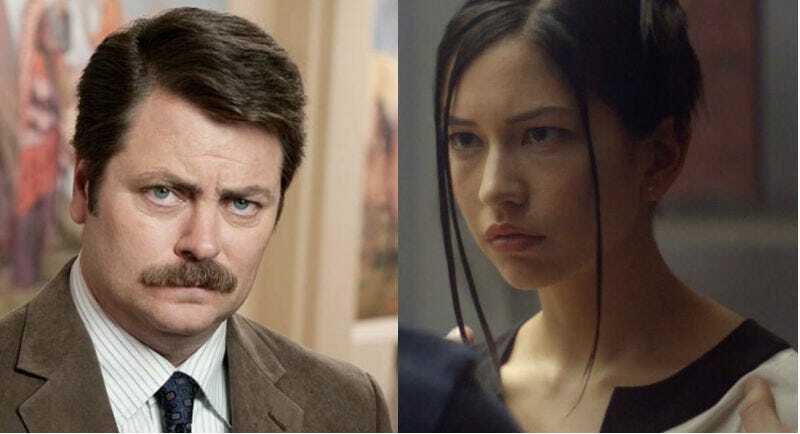 Nick Offerman and Sonoya Mizuno join forces with director Alex Garland. The director of Ex Machina and Annihilation has a new sci-fi project, and it’s coming to FX with a little help from his friends. That lead engineer will be played by Ex Machina star Sonoya Mizuno (she of the amazing, Oscar Isaac dance sequence) who also had a very interesting role in Garland’s other film, Annihilation. Parks and Recreation alum Nick Offerman is the CEO of the company, and other actors include Cailee Spaeny (Pacific Rim: Uprising), Alison Pill (Scott Pilgrim) and Zach Grenier (Deadwood). It’ll air in 2019. FX also announced it’ll be remaking Shogun, the famous ‘80s mini-series based on the James Clavell novel. The 10-episode limited series is described as the network’s “largest international scale production to date.” Tim Van Patten (The Sopranos, Boardwalk Empire) is among the show’s executive producers and will also direct multiple episodes.